Three important pieces of the Vision 20/20 legislative agenda moved one step closer to passage this week as they were approved by House committees. House Bill 734 (Crespo, D-Streamwood) would allow for three current educators to serve on the Illinois State Board of Education (ISBE). The bill was approved by the House Education: Licensing, Oversight, and Administration Committee on Wednesday. Also moving out of that committee was House Bill 3820 (Crespo) which would further overhaul teacher licensure in the state by deepening the pool of qualified teachers available for local school districts. HB 3820 is a follow up to Senate Bill 2912 from last year, which also was signed into law. Most significant, however, was the movement of House Bill 2808 (Davis, D-Hazel Crest), the evidence-based funding model. The bill was approved nearly unanimously by the House Appropriations: Elementary and Secondary Education Committee on Thursday. HB 2808 has 27 different factors that establish a funding formula that is based on evidence, data, and best educational practices. The evidence-based model was discussed prominently in the governor’s Illinois School Funding Reform Commission and provisions were included in the panel’s final report as it embraced setting a unique funding adequacy target for each school district. Also, Senator Andy Manar (D-Bunker Hill) included a modified evidence-based model in his amendment to SB 1 on school funding reform. The amendment was assigned to the Senate Education Committee but it was not considered this week. Future discussions, and perhaps some scrutiny, are likely awaiting these funding bills. Last month, the House Democrat Caucus sent a letter to the chairman of the governor’s funding commission, Secretary of Education Dr. Beth Purvis, stating, “Commission members did not explicitly endorse the Evidence-Based Model or these 27 elements. At this time, there remains a lack of general understanding regarding the elements and how removing, adding, or changing elements would impact school districts.” The letter was signed by House Majority Leader Barbara Flynn Currie, and Representatives Will Davis, Rita Mayfield, and Emily McAsey. The Alliance remains committed to working with the legislature on future discussions and negotiations regarding this important funding proposal and for the passage of an improved school funding formula for the state. For more on these bills and all Vision 20/20 initiatives please visit the Vision 20/20 website. Click here to read the entire Alliance Legislative Report 100-13. The FAQ document is now online. By the beginning of 2018, thousands of Illinois elementary schools will need to have completed lead testing on water that is consumed by students, whether through drinking fountains or used in food preparation. While most districts are aware of the new lead testing law, there are some very specific guidelines schools must follow for the testing to meet the required legal standards. To assist with this process, IASB has created an easy-to-use frequently asked questions document. The nine-point FAQ will help districts determine whether they need to test their water, when and how samples should be taken, where the samples should be analyzed, and the necessary steps that must be followed when notifying the public. Further questions about specific testing procedures should be directed to local water suppliers. IASB will provide additional updates regarding testing school water as new information becomes available. One of the hang-ups with the Senate “grand bargain” was the fact that a school funding overhaul was discussed as part of the package, but no language was filed. Senate Bill 1, the placeholder for funding reform, was given that specific language on Thursday, March 23. Even though the prospects of the “grand bargain” may be slim, recent actions of the legislature have shown that the concepts contained in the “grand bargain” are still viable. The language of SB 1, sponsored by State Senator Andy Manar (D-Bunker Hill), is similar to that of House Bill 2808 which is the Evidence Based-Funding Model, supported by the Alliance and a Vision 20/20 initiative. Although the two pieces of legislation are similar, there are some differences, including the amount of per pupil funding for technology and a class size adjustments for low-income students. The Alliance is still reviewing the details of SB 1 and we will keep you updated to any and all school funding reform bills as they move through the process. The House of Representatives has set a deadline to move House Bills out of committee for March 31. The deadline, while not an absolute, usually means two things, a great deal of work needs to be done in committees in the days before that deadline and a clearer picture of where things stand after that deadline. Failure to meet the self-imposed deadline often times means that a bill will not be heard in the current legislative year. We have provided a list of some of those bills that will be heard in committees this week in this report. Click here to read the entire Alliance Legislative Report 100-12, including summaries of other education-related bills. IASB is now accepting applications for the two-year School Board Governance Recognition. The focus of the recognition effort is to acknowledge full board development and participation, rather than individual board member accomplishments. Applications for School Board Governance Recognition are due Aug. 1 and available for download on the IASB website. Applicants must satisfy all of the criteria outlined within the application in order to qualify. Additional information about the recognition program and guidance about the application process can be found in the tutorial video above. Questions about the award program should be directed to Peggy Goone by phone at 217/528-9688, ext. 1103, or by emailing her at pgoone@iasb.com. Governance Recognition is a two-year award, so recipients from 2016 need not apply. A list of 2016-2017 and 2015-2016 recipients is posted here. Boards that earn Governance Recognition will be presented with plaques at IASB’s fall division meetings. Recipients will also have their photos displayed at the 2017 Joint Annual Conference in November. include U.S. astronaut and Navy Captain Scott Kelly. Illinois school officials will be well represented at this year’s National School Boards Association annual conference, to be held March 25-27 at the Colorado Conference Center in Denver. This year’s event is asking attendees to “Reach, Elevate, Inspire,” and the theme will be conveyed throughout conference activities. Freemont School District 79 has three panels: “UBER-ization of Education: Strategic Leadership for Personalized Learning.” Presenters: Jill Gildea, superintendent; and Elizabeth Freeman, innovative learning director; “Creating Future-Focused, Student Centered Learning Spaces.” Presenters: Gildea, Freeman, and Jason Bonds, board president; and “Mindfulness 101: For the Overbooked and Over-Scheduled Board Member.” Presenters: Gildea, Freeman, and Bonds. Oak Lawn-Hometown School District 123 also has three panels: “Partnering with Purpose: A Pathway to Trust.” Presenters: Paul Enderle, superintendent; Larry Fetchko, community liaison officer, Brian Nichols, board member; “Performance Contracting RFPs: An Alternative Approach” Presenters: Mike Loftin, assistant superintendent/chief school business official, Paul Andersen, director of buildings and grounds, Jay Lurquin, board member; “Supporting and Retaining New Teachers.” Presenters: Enderle and Kathy Gavin, assistant superintendent for curriculum, assessment, and family engagement. Skokie/Morton Grove District 69, “Education Technology Luncheon: 22nd Century Practices for 21st Century Schools.” Presenter: Steve Dembo, vice president, school board. Woodridge School District 68, “Positive Behavior Interventions and Supports-Improving Teaching and Learning through Creativity and Celebration.” Presenter: Justin Warnke, associate principal. IASB staff will be featured panel presenters, as well, covering the topic of effective governance, and on the school board role in transforming the organizational climate. Executive Director Roger Eddy will be leading the association presence at the NSBA conference, along with Carla Bolt, director of meetings management; Maryam Brotine, assistant general counsel; Laura Martinez, field services director; Chris Montrey, administrative assistant; Patrick Rice, field services director; Ben Schwarm, deputy executive director; Kimberly Small, general counsel; Cathy Talbert, associate executive director; and Barb Toney, field services director. Participants from Illinois also will include IASB Vice President Joanne Osmond, who will serve on the NSBA policy and resolutions committee; and Treasurer Thomas Neeley, who will serve on the NSBA nominating committee. Keynote speakers at the 2017 conference will include U.S. astronaut and Navy Captain Scott Kelly, Arianna Huffington, founder of The Huffington Post, and author Wes Moore. Illinois districts are invited to the Illinois Reception on March 24, from 6 to 8 p.m. in the Centennial D Ballroom at the Hyatt Regency Denver Hotel. More information about the 2017 NSBA Annual Conference is available on the conference website. Those looking to follow along with live updates should check #NSBAConf on Twitter, or download the conference app. 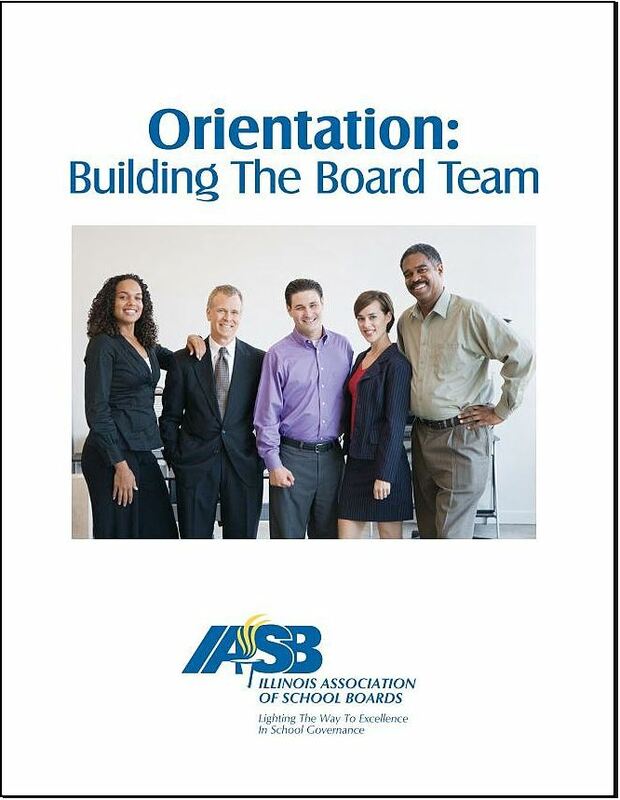 IASB has updated a popular election document intended to meet the needs of school boards welcoming newly elected or appointed board members to a new board team. In order to become a high-performing team, each board should address the orientation needs of its newest members. In odd-numbered years, many school boards gain at least one new member, and some even acquire a new majority of four or more new members in the school board election process. New board members may also join the board to fill mid-term vacancies. 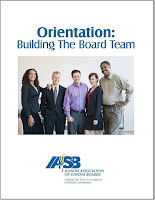 That’s why IASB developed a self-guided workshop, Orientation: Building the Board Team. This publication outlines the "nuts and bolts" work of school boards in a process designed to facilitate conversations about a school district's identity, purpose and the board processes available to fulfill that purpose. The 2017 edition of Orientation: Building the Board Team includes sample agendas, methods of sharing the district’s identity, and governance process basics. It also includes an updated section on mandated and other board training/education opportunities. The orientation process is designed to be conducted in three, 90-minute sessions. They can be part of regularly scheduled board meetings or conducted as special meetings. While the orientation is designed to be self-directed, outside facilitators may also be used. The document is available to download from the IASB website. The Evidence Based Funding Model, a Vision 20/20 initiative, was once again discussed under the Capitol dome as the House Education Task Force met this week. Similar to previous task forces, the House Education Task Force is a bipartisan group of legislators that are looking to come up with a solution to the current funding crisis in Illinois. House Bill 2808, which contains the language for the Evidenced Based Funding Model, is co-sponsored by House Education Elementary and Secondary-Appropriations Chairman William Davis (D-Hazel Crest) and Republican Spokesperson Bob Pritchard (R-Sycamore). The legislation has picked up multiple additional sponsors in recent weeks and is the main focus for many working on a funding overhaul. 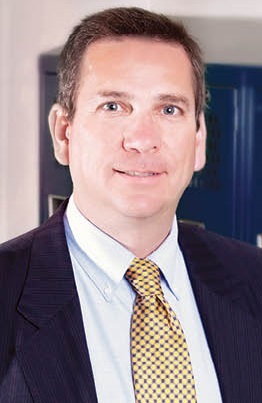 In a meeting of the House Education Elementary and Secondary-Appropriations committee, Illinois State Superintendent Tony Smith said that while the Illinois State Board of Education has not done an analysis of the Evidence Based Funding Model, he believes tying funding to research based metrics to be a positive. Another major topic of discussion this week, and over the past number of years, was pension reform. The discussion was spurred by the introduction of Senate Bills 2172 and 2173 (Connelly, R-Naperville) which are a combination of ideas that have been seen previously. The reform bills would include a consideration plan similar to SB 16, which was the pension reform plan in the Senate’s “grand bargain.” To entice more votes on an idea, which has already failed twice in the Senate this year, Senators Connelly and Tracy also included $215 million dollars for Chicago Public School pension that was previously vetoed by Governor Bruce Rauner. However, the governor said he would sign this combination plan if it made it to his desk. Click here to read the entire Alliance Legislative Report 100-11, including summaries of a number of bills under consideration by the Senate and House. A preliminary look at school district referendum plans shows at least 35 local school district finance questions will appear on the April 4 general election ballot, including no fewer than 20 bond issues, and 15 local tax increases. 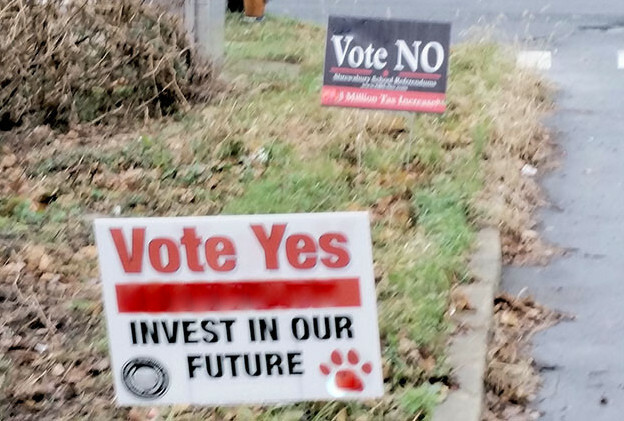 At least eight county sales tax propositions are also proposed for the benefit of their local school districts, along with a proposed school district consolidation, a cooperative high school, and several miscellaneous or advisory referenda. The largest of the bond issues is proposed at Wheaton Warrenville CUSD 200, where an additional $132.5 million in bond revenue would be obtained if voters approve a building upgrade. The smallest is the $2.5 million bonding requested in Franklin CUSD 1 to construct an addition to one building, and to make repairs. County tax propositions, all designed to raise sales taxes by 1 percent to benefit schools, are on the ballot in Cumberland, Effingham, Hancock, Madison, Marion, Montgomery, Moultrie, and St. Clair Counties. The lone school district consolidation proposal on the ballot calls for creating a new community unit school district in the territory comprising Alwood CUSD 225 and Cambridge CUSD 227, in Henry, Knox, and Mercer Counties. Another kind of school district reorganization is proposed in Bismarck-Henning CUSD 1, where the board is seeking voter authorization to enter into an agreement to jointly operate a cooperative high school with Rossville-Alvin CUSD 7. Other miscellaneous proposals include five school districts seeking to allow at-large election of school board members, in Bradford CUSD 1, Bushnell-Prairie City SD 170, Community HSD 117 (Lake Villa), Northwestern CUSD 2, and Waverly CUSD 6; and a proposal to require voter approval prior to any future board action increasing a property tax levy, which is proposed in Elgin SD U-46. IASB will report the April 4 school referenda as soon as results are available. IASB’s spring Division Dinner Meetings continue throughout the month of March. Each meeting this round includes a briefing for school board candidates in advance of the April 4 general election. Division Dinner Meetings also include breakout sessions with topics such as collective bargaining, online learning, school funding, school safety, student discipline, student performance and assessments, and school referenda campaigns. The remaining meetings involve the Central Illinois Valley, Kishwaukee, Western, Southwestern, and Kaskaskia divisions. For more information, click here for the IASB upcoming events link. Longtime Northwest Division Director Ben Andersen was honored by the IASB board of directors at its quarterly meeting held March 10-11, in Lisle. Andersen, who has served on the East Dubuque Unit SD 119 board since 1986, is not running for re-election in April. He stepped down from the Association board in November and has been replaced by Chris Buikema, East Coloma-Nelson CESD 20 (Rock Falls). 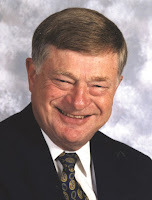 Andersen was elected director in 2007, having previously served as division resolutions chair and as a district delegate for 28 years. He has served on the IASB board’s executive, nominating, and audit committees and co-chaired the annual conference in 2011. The board of directors also approved bylaws for seven of the Association’s 21 governing divisions, a recommendation for a new Service Associate membership, and its annual work calendar. The board also heard a report from the 2017 Joint Annual Conference co-chairs and received updates on Illinois High School Association activities, state legislation, Association finances, and staffing. It was also announced at the quarterly meeting that Chicago CPS 299 is no longer a member of IASB. The district was most recently represented on the IASB board by Jaime Guzman. On Friday night, the board heard presentations by State Reps. William Davis, D-30, East Hazel Crest, and Robert Pritchard, R-70, Sycamore. A passionate discussion followed on the need for flexibility in student performance accountability measurements and state education funding commitments. The next meeting of the IASB board will be held May 12-13 in Springfield. The executive directors of the four associations that make up the School Management Alliance were interviewed by the Illinois Channel at the recent Leadership Summit. Roger Eddy of the Illinois Association of School Boards (IASB), Jason Leahy of the Illinois Principals Association (IPA), Michael Jacoby of the Illinois Association of School Business Officials (Illinois ASBO), and Brent Clark of the Illinois Association of School Administrators (IASA) shared their perspectives on the important issues impacting Illinois public education. The four videos below were recorded and produced by the Illinois Channel. The four videos can also be viewed at the Illinois Channel website. IASB has posted an updated guidance document discussing the various legal issues surrounding transgender students. 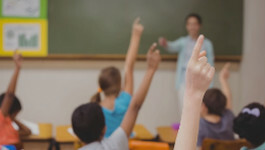 The National Association of School Boards (NSBA) prepared and distributed the guide, Transgender Students in Schools: Frequently Asked Questions and Answers for Public School Boards and Staff. The updated information covers significant developments that have taken place over the past year regarding the rights of transgender students. Among the issues covered is the Trump administration’s “Dear Colleague” letter withdrawing the Obama administration’s previous transgender guidance. Also included is the status of various transgender lawsuits filed throughout the nation. Additional information on the guidance document is available on the IASB website. Douglas P. Blair, a longtime leader in Illinois education who worked for 34 years at the Illinois Association of School Boards, died Friday, March 10, 2017. He was 82. 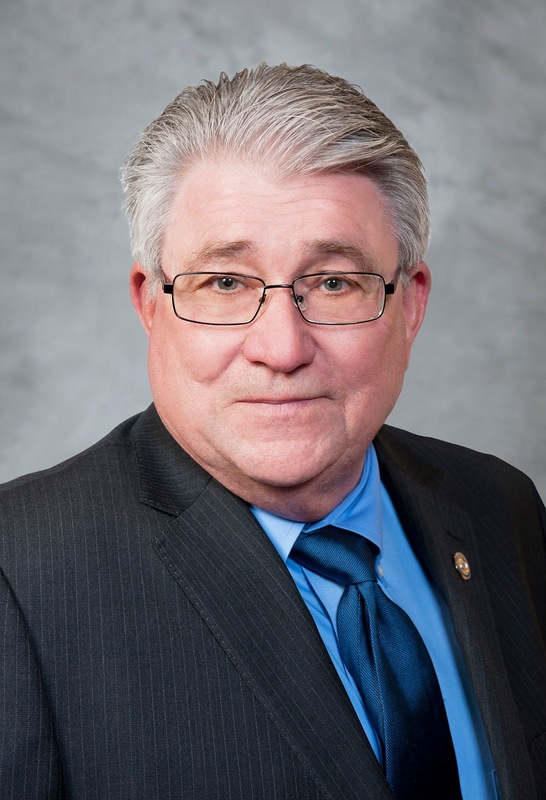 Blair began his IASB career in 1976 as a field services director for local districts in the Central Illinois Valley, Corn Belt, Two Rivers, Abe Lincoln, Illini, and Shawnee divisions. He served in that department and was its senior director until 2008, when he moved into the Association’s executive searches department. He retired in April 2010 but continued as a part-time consultant. Over his career, Blair was involved with approximately 500 superintendent searches. Prior to his time at IASB, Blair spent 20 years in education as a teacher, principal, and superintendent. He completed his undergraduate, graduate, and doctoral work at Illinois State University. Planning is underway for a memorial service; information will be provided as it becomes available. The Academy is organized to provide for active learning, daily reflection time, and hands-on learning experiences. Click here for more information, including testimonials, instructors, and registration. 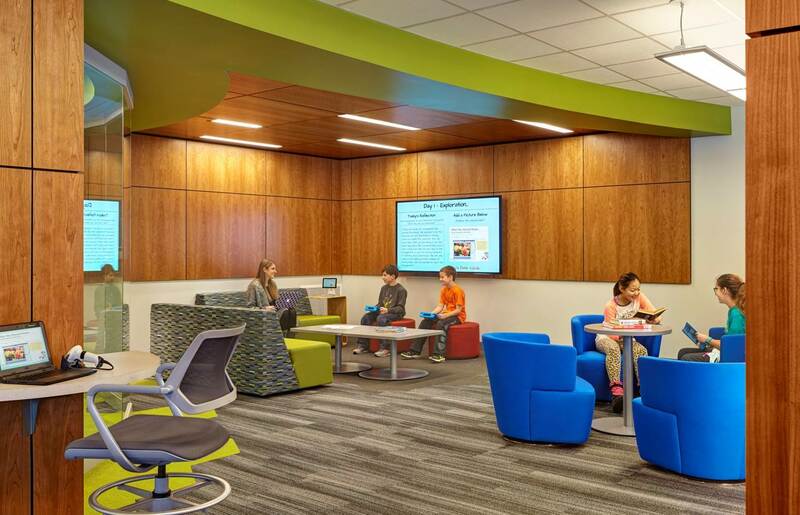 Twenty-six projects have been added to IASB’s School Design Data File, a searchable database that includes information on design entries to the yearly Exhibition of Educational Environments (EEE) over the past 26 years. Each year, design professionals are invited to submit entries to the juried EEE, and to display their projects at Conference. Afterward, entries become part of the School Design Data File, a service developed by IASB for its Service Associates organization and available for use by IASB member school districts and their architectural firms. The database is available to provide school officials and their architects with a place to look for ideas and insights into the current "state of the art." Information provided by the designing architect for each project is searchable on a wide range of variables. This database contains entry form data, illustrations, and commentary. After identifying projects that meet their criteria, requesters can contact IASB to receive a complete data report for each identified project. The School Design Data File is part of the IASB Resource Center, which contains more than 3,000 books, nearly 500 serial titles, and several special collections. One of these special collections is the School Design Data File. Additional information about the School Design Data File is available by clicking here is available by clicking here, or contacting the IASB Resource Center, ext. 1105, or by emailing jnelson@iasb.com. Entry information for the 2017 Exhibit of Educational Environments will be announced in May. For more information, contact IASB Communications, ext. 1131, or by email bbeck@iasb.com. The Illinois State Senate Tuesday deliberated on the Senate floor on some of the components of the “grand bargain” comprehensive budget package. A number of votes were taken and several bills were approved, including making appropriations for state government for the remainder of Fiscal Year 2017 (SB 6), expanding gaming by adding six new casinos including one in the City of Chicago (SB 7), and providing an appropriation for Chicago Public Schools teacher pensions (SB 5). Bills regarding local government consolidation (SB 3) and procurement reform (SB 8) have also been approved by the Senate. Click here to read the entire Alliance Legislative Report 100-09, including details on the deliberations and the bills of interest that are scheduled to be considered in committees. Illinois school leaders have several opportunities to gain insight about emergency preparedness and safety at events scheduled in March and April. Renowned national safety specialists, local law enforcement professionals, and school officials will be on hand to share their personal experiences and best practices with participants at three safety seminars. On Wednesday, March 22, Grayslake Central High School will host a Safety Summit featuring school safety expert and Safe Havens International Executive Director Michael Dorn. NaviGate Prepared is offering free registration for board members, administrators, building administrators, first responders, and other guests. Dorn will lead the audience in relevant safety exercises and discuss other actionable insights including effective solutions and a school safety audit. A one-day program on March 29 will focus on resources. A week later, Sorensen, Wilder and Associates in collaboration with the Bourbonnais Township Park District will be presenting a one-day program titled “Emergency Preparedness Leadership.” The March 29 event in Kankakee, Illinois, will identify resources to help school districts and other public entities develop disaster preparedness plans. Conference speakers will highlight OSHA compliance requirements, realistic emergency planning, and legal and civic implications of employer liability issues. Keynoting the seminar will be Frank DeAngelis, retired principal of Columbine High School. The Emergency Preparedness Leadership conference will begin at 8:30 a.m. at the Hilton Gardens Inn. Tickets are available for purchase on the Bourbonnais Township Park District website. An April 18 school safety event is to be held in Mount Prospect. For those who cannot make the March events, a free School Safety Conference will be held April 18 at Bristol Palace in Mount Prospect. Hosted by the Illinois State Board of Education, Illinois Emergency, Illinois School Resource Officers Association, Facility Engineering Associates P.C., Oak Park police, Proviso Area for Exceptional Children, East Aurora School District, and Oak Park and River Forest High School, participants will hear from experts in the field of school safety and crisis prevention. Attendees will learn techniques to enhance the safety of educational facilities and practical solutions to improve both short and long-term security. Programming includes School Safety Planning for Students with Special Needs, How Open Source Social Media Data can be Utilized for School Safety, Three Keys to Effective School Security, and a lunchtime panel discussion with law enforcement, legal experts, school representatives, and security advisors. Presentations on school and campus shootings by Intelligence Officer Mia Ray Langheim and former Columbine Principal DeAngelis are also on the agenda. Registration for the event is free but limited to four individuals per school. The Safety Conference begins at 7:30 a.m. and includes complimentary breakfast and lunch.